Much is made of the more exotic animals of Australia. However, as those of us that live here know, insects play an important role too. 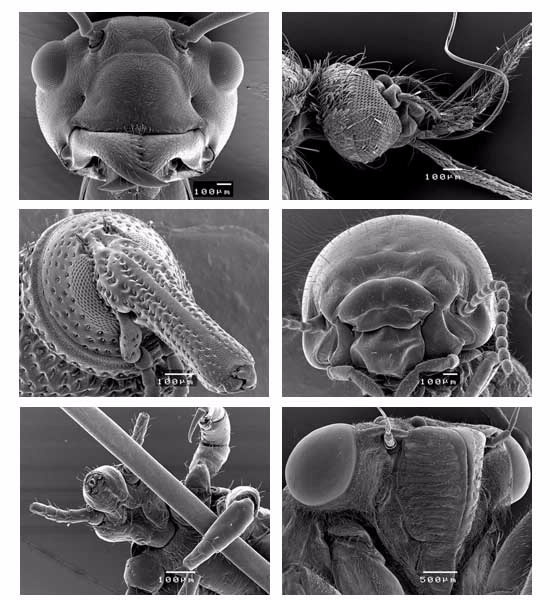 Below are examples of secondary electron images taken on an SEM of some of our local “neighbors”. ….can you identify them all?